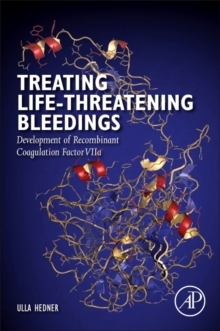 Treating Life-Threatening Bleedings: Development of Recombinant Coagulation Factor VIIa provides a comprehensive understanding of the first new drug within the area of hemostasis, describing a new mechanism of action that has resulted in a modified concept of the whole hemostasis mechanism. As the treatment of life-threatening bleedings is a serious challenge for clinicians, this powerful and historic case study presents a detailed roadmap on how a new medicine can be developed, stressing the interaction between science and clinical work. The book stresses the importance of patient care in the learning process and provides new ideas on how to approach diseases and their treatment. Users will find a real world example that will act as a timely resource for those learning about, or engaged in, performing and supervising research across the biomedical sciences.